They fly in by night, these travellers to this country. They come in after dark in their numbers, they land after sunset. They arrive when the Lighting Is All Tenebrous. On average, over a hundred each day. Or, more appropriately, each night. They are the air passengers who no longer have to spend the night in Antigua on their way here since night landing became a reality in 2011. "Overnighting in Antigua has always been a disincentive," the tourism minister, Ian Douglas, told The Sun. "Especially for our dive market, it has always been a turn off." A breakdown of the numbers shows that between 6 July and 31 December 2011, LIAT transported 8,174 passengers to Dominica on their scheduled late flights. When all arrivals were added up – including both daytime and post-sunset – the regional carrier brought in 76,405 during this period. The total number of night-time arrivals for 2012 was 26,299 (and a grand total of 161,139), while there was a dramatic rise to 41,618 last year (grand total 205,647). The figures for 2014 are preliminary, however, up until early August, 17,738 passengers had arrived here on LIAT flights after dark (and 103,278 altogether). The tourism minister told The Sun that these statistics proved that the government was right all along when it proceeded to light up Melville Hall Airport even as it explored opportunities for a jet airport. "Night landing has been a positive in arrivals in Dominica and the statistics from LIAT support it. The statistics vindicated our position," Douglas said. It was not immediately clear how many of these passengers were tourists and how many were Dominicans who went abroad on holiday or for business and were returning home. Figures released by the Barbados-based Caribbean Tourism Organization (CTO) indicate that between January and June 2014, Dominica received 39,000 stay-over visitors, a 5.5 per cent rise over the corresponding period last year. In 2010, the year preceding the introduction of night landing, the country hosted approximately 76,500 tourists. There were 78,119 tourist arrivals in 2012 and 78,277 in 2013. Douglas said these numbers reflected a wide range of interests. "It's a mixture. You have a percentage of those visiting friends and family. You see that from October through to April, you have medical students…more and more we are trying to change the equation to attract more of the tourists," the minister explained. 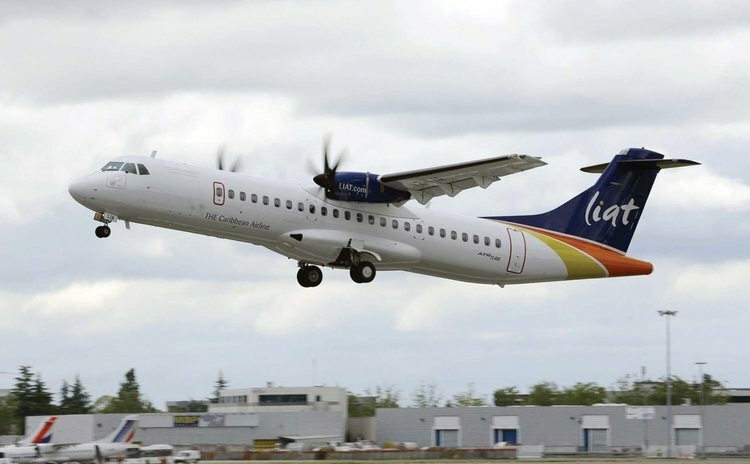 A source familiar with LIAT's operations told The Sun that the "after sunset" numbers did not reflect flights that were delayed and arrived after dark. However, the source said, because of night landing, Dominicans were no longer forced to spend the night in Antigua or Barbados as a result of delays. This, the person explained, also benefitted the airline.
" One of the things they have seen is a significant reduction in the amount of money they would have to spend for accommodation, the amount they would have to spend when there are delays ," said the source who spoke to The Sun on condition of anonymity because he was not authorized to discuss the subject. The only thing that prevents flights from landing, the source said, is poor weather. After all, they fly in by night, the come in after the sunset. And they would wish to Leave It At That!